Research has shown that GPs can spend up to 40% of their working day dealing with minor ailments. For the majority of patients, this can be inconvenient. 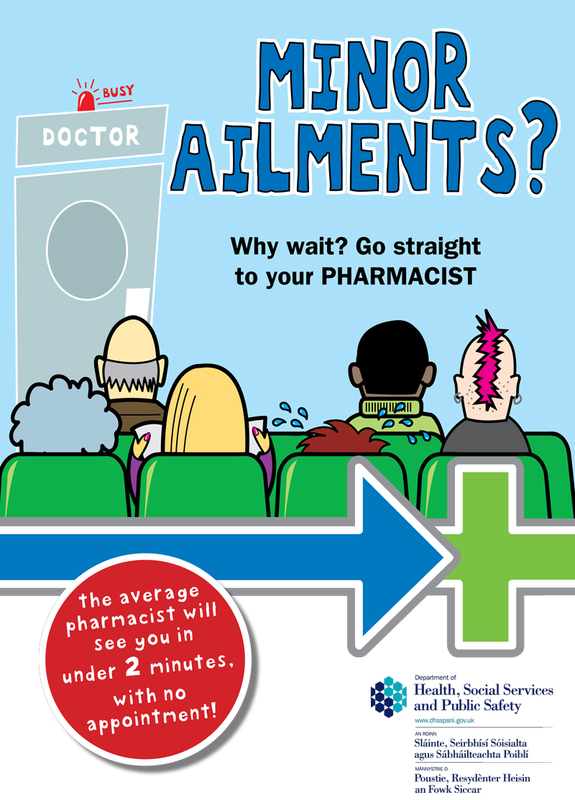 Your Local Pharmacy offers free independent health advice without the need for an appointment. The Minor Ailments Service in Northern Ireland offers advice and treatment FREE OF CHARGE. A consultation with your pharmacist is conducted confidentially. No appointment necessary - just drop in and ask the team about the Minor Ailments Service.